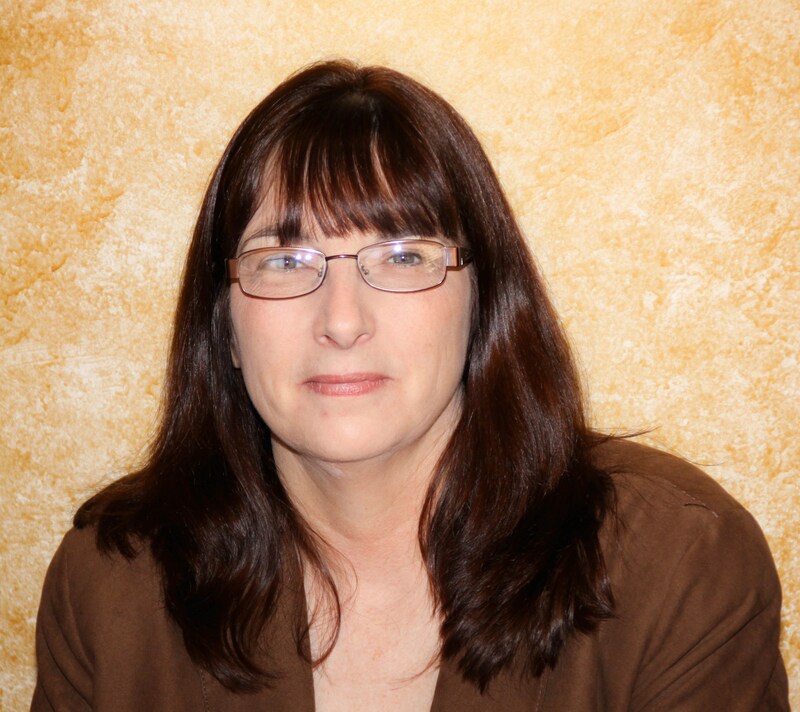 Today, I feature Fay Lamb who works as an acquisition editor for Pelican Book Group, offers services as a freelance editor, and is an author of Christian romance and romantic suspense. Her emotionally charged stories remind the reader that God is always in the details. Fay’s passion is working with and encouraging fellow writers. As a member of American Christian Fiction Writers (ACFW), she co-moderates the large Scribes’ Critique Group and manages the smaller Scribes’ critique groups. For her efforts, she was the recipient of the ACFW Members Service Award in 2010. In 2012, Fay was also elected to serve as secretary on ACFW’s Operating Board and was recently elected President of the newly formed Central Florida chapter of ACFW. Fay is offering a free book (either print or eBook) so please leave a comment below with your email address for a chance to win. We must have at least ten comments. Fay, tell us a little about yourself. Well, I’m the fifth generation of seven full generations raised in Titusville, Florida. I met Christ as my Savior as a teenager, but I’d been seeking Him most of my life up until that time. Truth be told, I took Him for granted after that, and it wasn’t until I saw life through the eyes of my two young sons, that I knew I needed to return to His loving arms. Motherhood often does bring us closer in our walks with the Lord. Thank you for opening up about that. Tell us three things about you that would surprise your readers. Oh, goodness. Let’s see. I love to tat. I have a collection of over 500 pairs of salt and pepper shakers, and once upon a time I thought I was shy. My grandmother had a library filled with books. Bookshelves filled one room that ran the length of her house. I grew up with those books. On occasion, she’d have to take one out of my hands and tell me the material was too mature for my reading. When I was a kid, my tastes went from biographies to Trixie Belden or the Hardy Boys mysteries. In my teenage years, one book stands out as my favorite: The Outsiders by S.E. Hinton. That teenager was ahead of her time with point of view. Now I love most genres, but I especially enjoy a well written romantic suspense. Oh, yes. I’ve never thought of being anything else. I’ve always written. I have plastic bins filled with notebooks of pages and pages of handwritten material from my early youth and teenage years. Now, my computer has a folder called “Fiction” and it is filled with hundreds of stories—most that I write for me, but quite a few are waiting to find a home. As soon as I could put words on paper, I was writing stories. It sounds like writing is in your blood! Why do you write? Writing has always been a release for me. As a teenager filled with angst, it was a way to go into another world and pretend I was someone else for awhile or to live another life far away. In fact, even now, I always have a story going on in my head. It’s natural stress release. In my late twenties, I remember clearly that whisper, as if God himself bent down and said “Write for Me.” It was then that I began to get serious with my writing career and realized that God gives us talents to use to further His kingdom, to teach, to exhort, and to provide beauty to others through what He allows us to create. Writing with a purpose! I love it! Tell us about the journey to getting published. Before it really sank in that God’s timing is perfect, the journey seemed like such a long one. I had some discouraging moments. Well, one of those moments lasted nearly two years, and I didn’t write during that time. I lost valuable ground in my writing career by feeling sorry for myself. When I finally moved on, I determined that I would let God lead. When I did step aside to let God handle everything, He moved mountains at His own pace. In 2010, I entered the ACFW Genesis Contest, and I finaled with Because of Me. Then He opened the door for me to attend the ACFW national conference. Although I was a bit discouraged in my meeting with agents and editors, I was confirmed as a writer, and I met so many friends that I’d only met online. When I returned home, I reported to my husband that one editor felt my fiction was too complex for Christian readers. So my husband counseled me to write simpler stories. I did, and while I wrote away, God opened a door to meet Lee Emory, editor/owner of Treble Heart Books/MountainView. Lee asked me to send my full manuscript, and eventually I was signed. I’m still working on the simpler stories, though. You have to write what God gives you when He gives it to you. I have learned that! How many years did it take to sell your first book? I’m disclosing my full age here. Let’s say that I didn’t write anything until I was five years old (in the first grade). That would be forty-six years to publication. Sounds about like my journey! 🙂 Tell us about your latest book. It really wasn’t until after I finished his story that I realized that though Michael’s story isn’t the same as my husband’s, Michael, in his own way, mirrored the hero that my wonderful husband is in my life and the life of our two sons. I love stories that were divinely inspired. What are you working on right now? I’m currently working on a contemporary romance entitled Hope, two romantic suspense novels, Everybody’s Broken and Changing Melodies, as well as two contemporary fiction novels, Storms in Serenity and Resurrection. Resurrection is set in the world of professional surfing. Sometimes a location will fill me with inspiration and I will pair the location with characters that I’ve developed solely in my imagination. For example, when the hero in Because of Me stepped up to audition on the stage of my brain, I really had no clear setting for him. But then we visited Western North Carolina, and the story popped. I truly believe my characters choose their first names. There’s not a lot of conscious effort on my part. When a character comes to mind, they usually come with a name. There are a few of my characters who are named after people I know and who are dear to me, especially their last names. I spend lots of times with the characters. Remember, I always have a story going on inside my head. I don’t normally interview characters or study everything about them. They just become “friends” as I think up stories for them. There have been a few occasions when I’ve tried to get the full emotion from a scene. In those times, if my critique partners tell me I’m not there yet, I’ll make a journal entry as that character, and that will usually allow me to dig deep so that I can bring those emotions from the journal into the story. Well, I have a real life “Michael” in my husband who came into my life when my sons were four and six years old. He didn’t have to love them. He didn’t have to care for them at all, but he loved my boys with more love and devotion than their natural father ever gave to them. So, Michael is my real-life happening and one that I thank God for every day of my life. That’s a wonderful story! If you could interview any character in one of your books what might that character say? Why? I think Michael Hayes would tell his readers that no matter what you do in life, no matter the mistakes you make, our God is a God of second chances. Not only does He offer us do-overs, He prepares the way for us (Jeremiah 29:11 and Romans 8:28), and they are better than anything we can imagine. I’m in between. I do a lot of plotting in my head, but it bores me to the very depth of my soul to outline or prepare for a book. I stumbled upon James Scott Bell’s LOCK method, and I love it. Writing (or typing) out 3×5 cards that include the LEAD character doing something interesting that moves the story forward, the character’s OBJECTIVE for that scene (which will lead to the next scene, the CONFLICT that arises to prevent the character from said goal and then adding that KICKER ending is almost as much fun as writing out the story. I like that! What are your favorite themes to write about? I write about issues I’ve dealt with such as bitterness, forgiveness, anger, faltering faith, a poor self-image, carrying burdens of others you aren’t meant to bear, and even adultery. As for a writing schedule, I work best on editing and critiques during the day, and I allow my creativity to flow during its peak hours between 6:00 p.m. to 2:00 a.m. Currently, I’m sitting at a small desk in my room in North Carolina. Here I can sit and look out over the mountains that I love. At home in Florida, my office window overlooks my oak trees and azalea garden. Do you have to juggle writing with a job, family responsibilities or other obligations? How do you balance it? I’m very fortunate that I have a husband who supports my various careers, even though they don’t bring in a lot of money. Our two boys are married with kids of their own, and my husband would rather not eat my cooking. So, he works on one end of our house, and I write on the other. We meet for dinner each day. And he’s so supportive that he allows me months at a time to spend time in North Carolina. I spend that time writing, editing, reading, and indulging in amateur photography. You are quite the busy wowan! Share something about your day-to-day life that might help a reader to feel as though they know you a little better. I’m truthfully on my computer an average of twelve to fourteen hours a day. I not only write, but I provide freelance editing, and I also work as an acquisitions/copyeditor for Pelican Ventures (White Rose Publishing and Harbourlight Books). When I’m in North Carolina, I will take a break in the evenings and walk around Lake Junaluska, stopping to read either at one of the gazebos or a bench by the lake before continuing home. And I spend lots of time on Facebook. I know that some writers shun the social networking because it wastes a lot of time (and it can), and some wonder how I can get work done and be on it so much. I have a secret. It’s called two monitors. I love to laugh and cut up with my Facebook friends. And that is probably where you will learn every aspect of my life. I love to share the humorous happenings of my day. Two monitors? I love it! What would you be doing if you weren’t writing? Is there anything else to do besides writing? Only kidding. I’d be editing or critiquing or working with writers. Those are my other passions. Definitely. Without my faith, I would have no story worth telling. I try to show with each of my stories that God is in the smallest details of our lives. Even when we think He’s not there, He is right beside us. When we veer off the path, He is making plans to fulfill the promise of Romans 8:28. My favorite Scripture is my character Michael’s life verse: Job 13:15: Thou He slay me, yet will I trust in Him: but I will maintain mine own ways before Him. Ha. I don’t think I’ve ever been brave, but I remember my husband telling me how proud he was when I received my publishing contract. He told me that I was brave to put myself out there, to risk rejection. Maybe so, but it isn’t anything that many other authors haven’t done before me. Your husband is right. It does take a lot of bravery to expose yourself to rejection. What is the coolest, wackiest, most risk-taking thing you’ve ever done? I’m not much of a risk taker. I’m not too cool either, but I do on occasion do some very wacky stuff, like throwing a birthday party for a good friend which was actually a twenty-four hour marathon of watching our favorite British television show Primeval. I bought my friend a cake, complete with dinosaurs, cut out a picture of our favorite actor in the show and placed him in the middle of the cake. We had a table filled with all kinds of fattening snacks, and we sat in our PJ’s for twenty-four hours plus watching three seasons of Primeval. My husband would come and check on us occasionally, and my kids even stopped over to say they’d been a part of the spectacle, but we had a good time. The next Primeval Marathon will be forty-eight hours. What is the most embarrassing thing that’s happened to you? When I was a teenager, I got stuck in the turning barrel of a funhouse. I stood there and studied and studied how to get through it without falling, and the light bulb over my head was a very dim one that day. I decided my best approach was to hold on to the side—the side that was turning. My best friend breezed through, taking one step at a time. I reached for the side, and yes, the side turned, and I fell with a whap. The tunnel took me up, dropped me back down, took me up, dropped me back down. By the time the ride operator got me out, a large crowd had gathered. I laugh about it now, but what a horrifying moment for a teenage girl. Don’t you just love life’s most embarrassing moments? What was your greatest fear as a child and have you written something like that into your book(s)? I dreamed of snakes all the time as a kid. Eeek! If you could have dinner with someone famous (dead or alive) who would it be? If I answered with the name of anyone else at this point, my friends would tell on me. So, my answer is Andrew Lee Potts. He’s a tremendous young actor who, with a few of his friends, owns a film production company, Keychain Productions. Andrew is also the face of Michael in Because of Me. I’d love to work with Andrew’s production mates/screenwriters on a Keychain Production, if you know what I mean. I think I have a story or two for them. Writers are also dreamers. Teahupo’o, Tahiti to the Billabong Pro because I’d love to visit the location of the opening scene of my surfing novel, Resurrection. My pastor and I have a joke. He tells me that giving and mercy are on the bottom rung of the ladder as far as my gifts go. But at the top, I’m a teacher, a servant, and an administrator (ruler). Mercy is at the bottom of mine, too. Is there anything else you’d like to tell us? Maybe a writing tip or advice for aspiring authors? There is only one tip I give for aspiring writer: Not matter what, don’t give up. That’s a good one! Where can fans find you or your books on the internet? My book is available at Amazon, Barnes and Noble, and from my publisher Treble Heart Books at www.trebleheartbooks/MVLamb/. 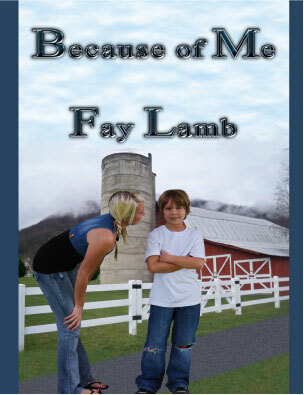 Because of Me: Not your typical Christian fiction. Thank you, Fay, for joining us today! Please leave a comment below with your email address for a chance to win. We must have at least ten comments. Fay sounds like a very interesting writer and I would love to win her book! My email address is: skwilson5904@gmail.com Thanks for the interview and the chance to win! Susan, Fay is offering a free book to each person who left a comment. I’ll email you to get your mailing address. Thanks! I knew I liked Fay for all she does for ACFW and the Scribes groups. Knowing she loved The Outsiders as a teen and that mercy and giving are at the bottom of her gifts ladder—now I know I love her. (I’m the same way.) Great interview! Julie the words, “Stay gold, Pony Boy,” still resonate in my heart! Fay, I confess I follow C. Thomas Howell on Twitter. You can count on at least one Tweet a day where someone will say, “Stay gold, Pony Boy.” I smile every single time. Julie, Fay is offering a free book to each person who left a comment. Can you leave me your email address so I can email you to get your mailing address? Thanks! I usually like anything not typical! And that verse from Job has gotten me through some tough times. The things that can happen in our lives when we say it and really mean it. He’s amazing. Jill, Fay is offering a free book to each person who left a comment. Can you leave me your email address so I can email you to get your mailing address? Thanks!